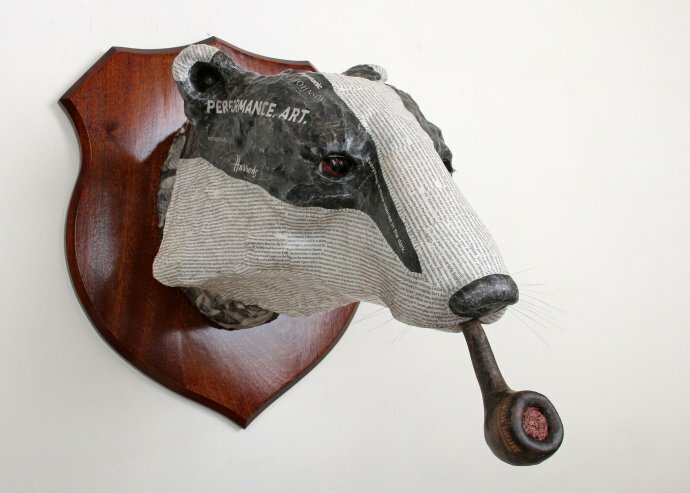 The Rebecca Hossack Gallery has long had a tradition of supporting Western artists who demonstrate the utmost originality in their chosen media, of which British sculptor, David Farrer, is no exception. Farrer has a strong interest in nature and the environment, stemming from time spent in Africa. 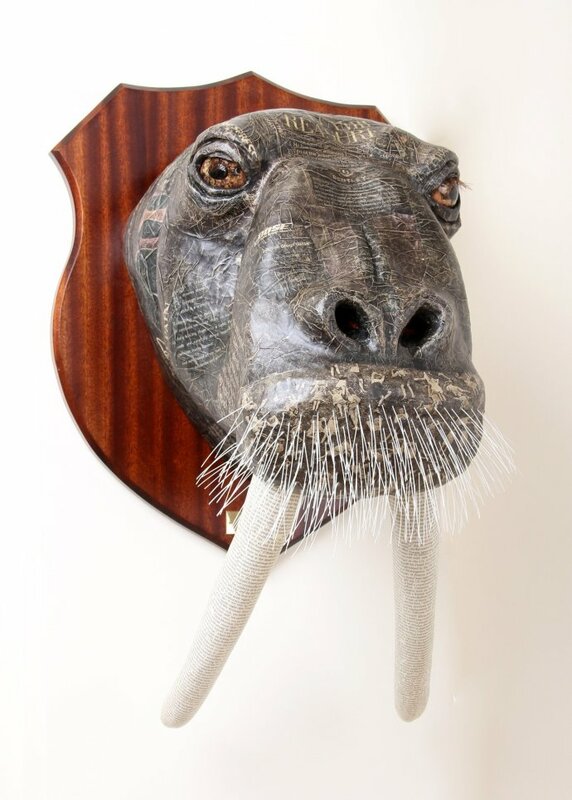 For his major show, 'Return to Africa' in 2009, African animals formed the basis of Farrer's sculptural experimentation. Since then, Farrer's interest in the beauty of the environment has continued. 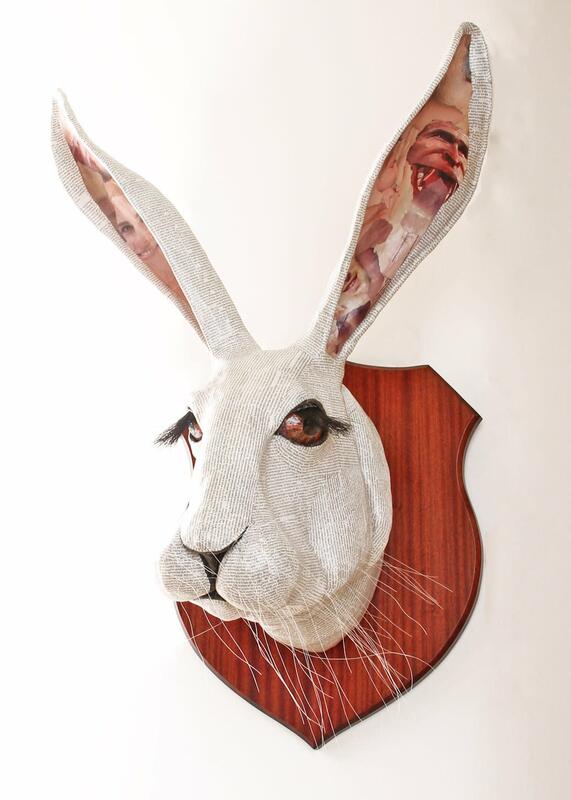 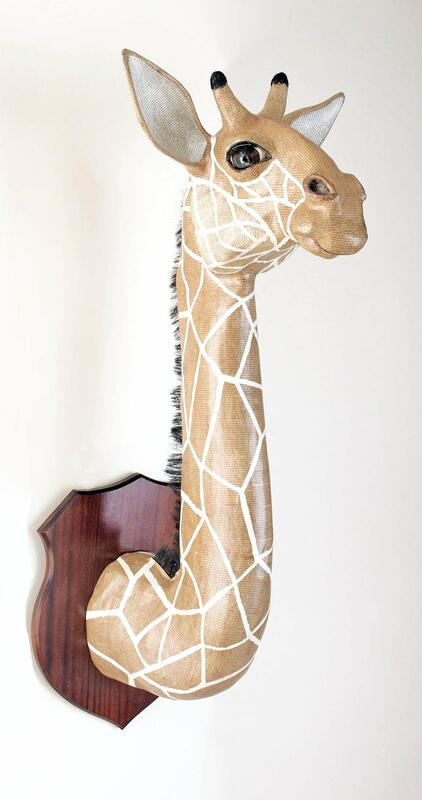 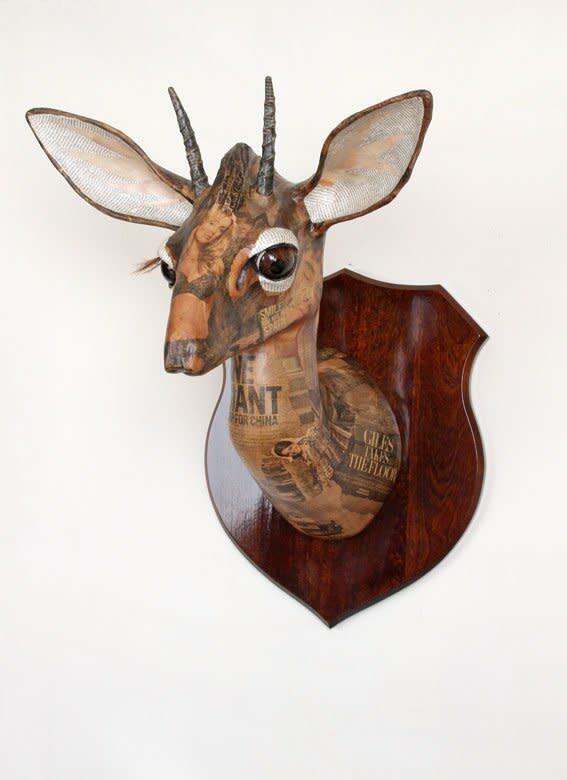 He solely uses sustainable materials to create his collages of animal heads. 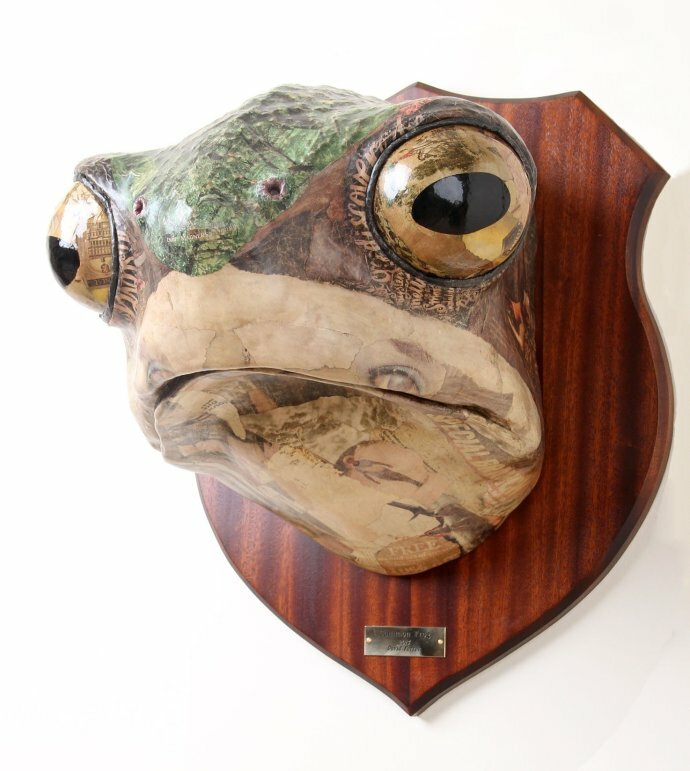 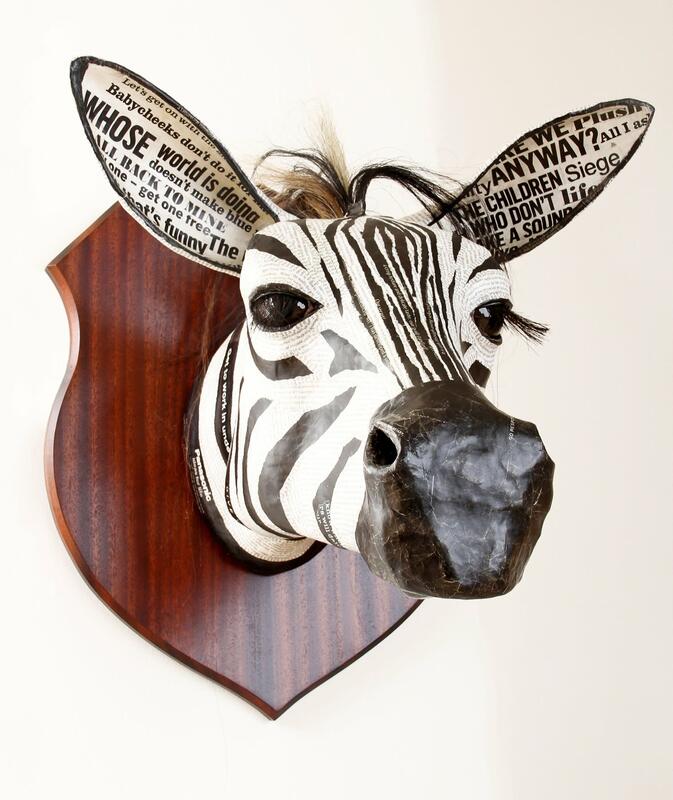 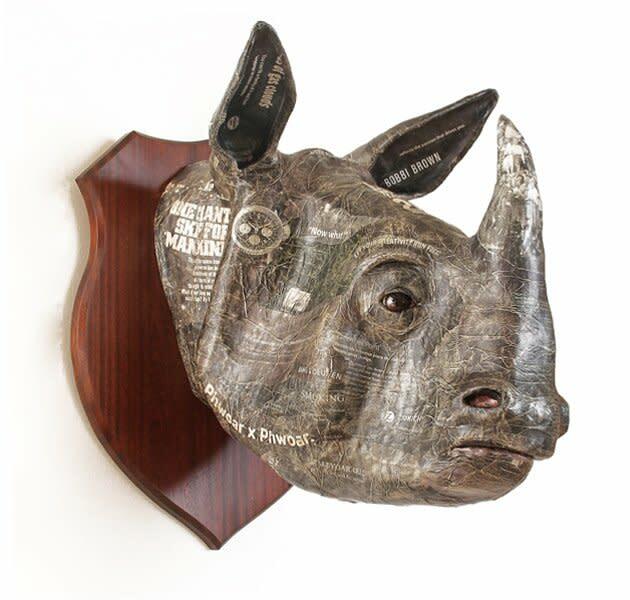 Farrer predominantly uses animal ephemera and recycled paper to create his sculptures, thus drawing upon worldwide issues of conservation and extinction. 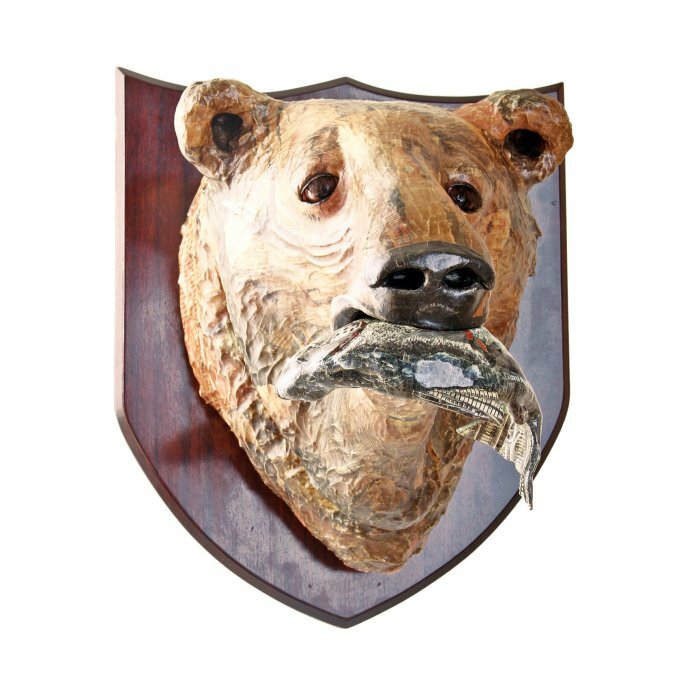 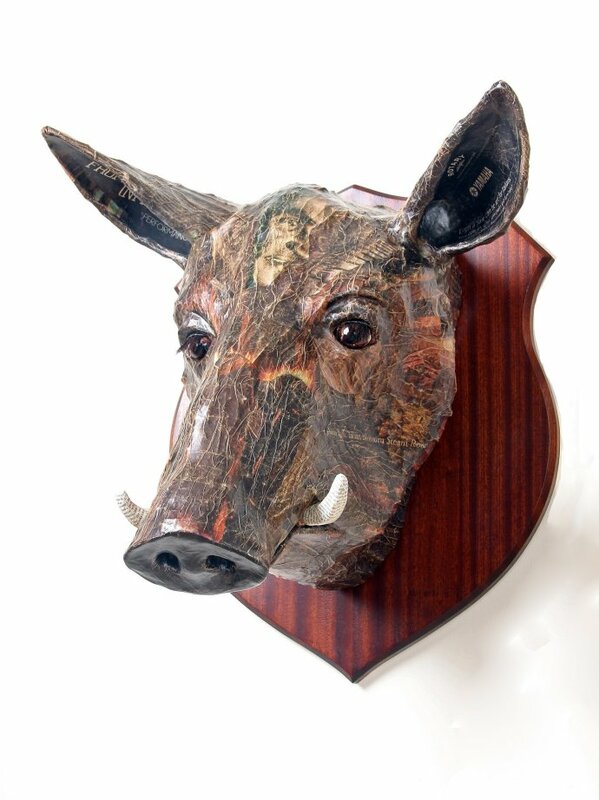 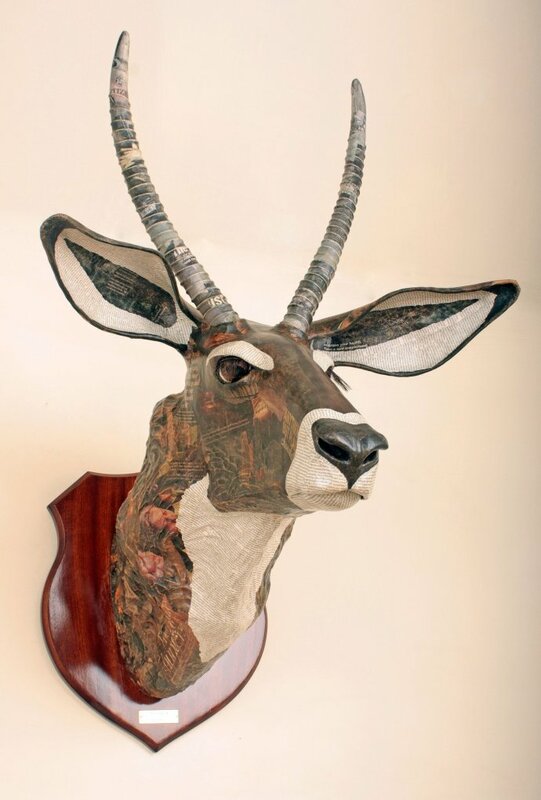 His sculpted animal heads, which will be shown at the exhibition, are all mounted on to sustainably farmed hardwood shields, the visual of which ironically recalls hunting and gathering traditions. 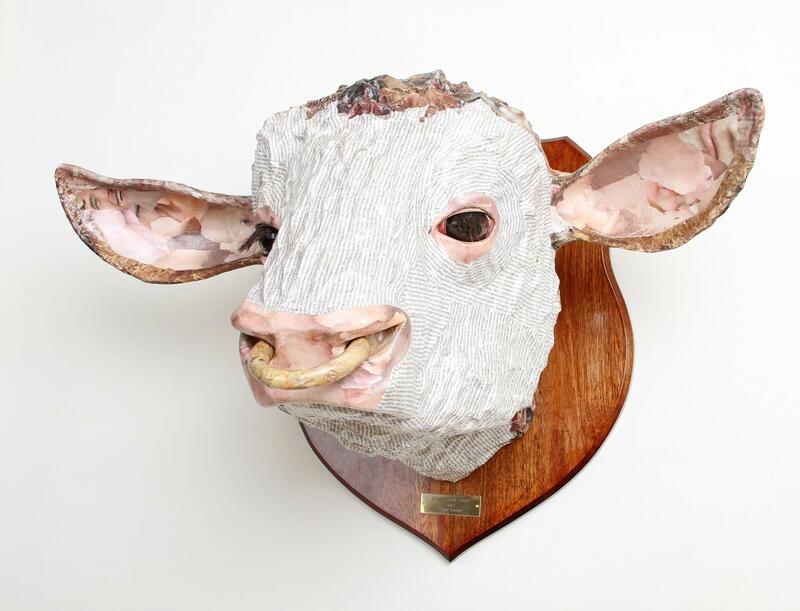 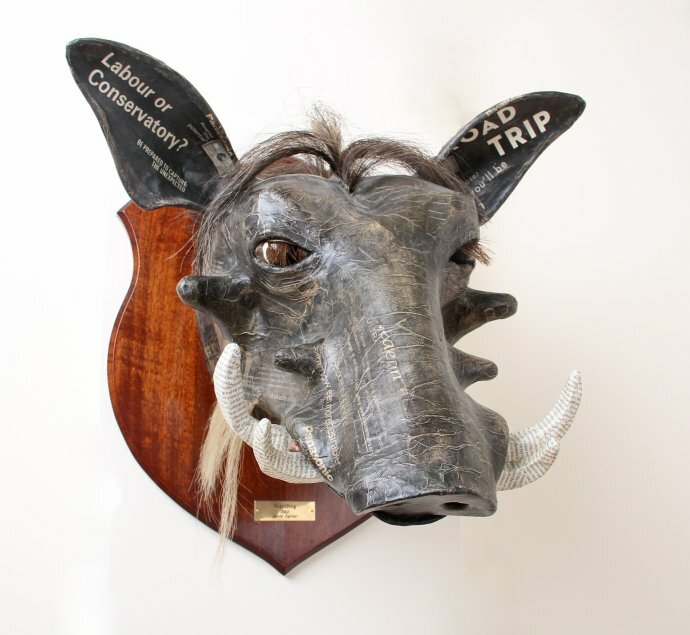 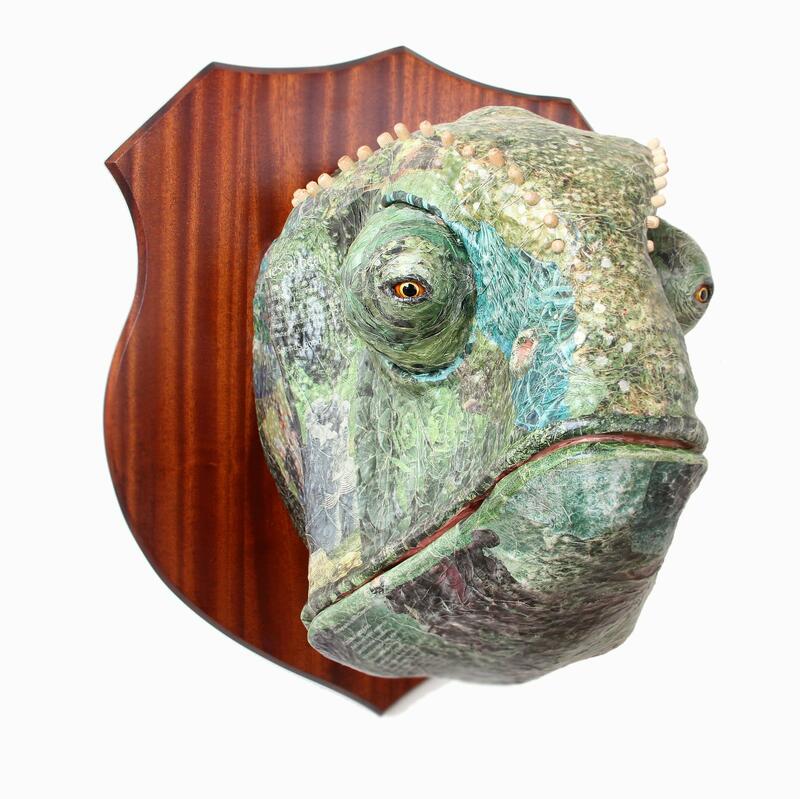 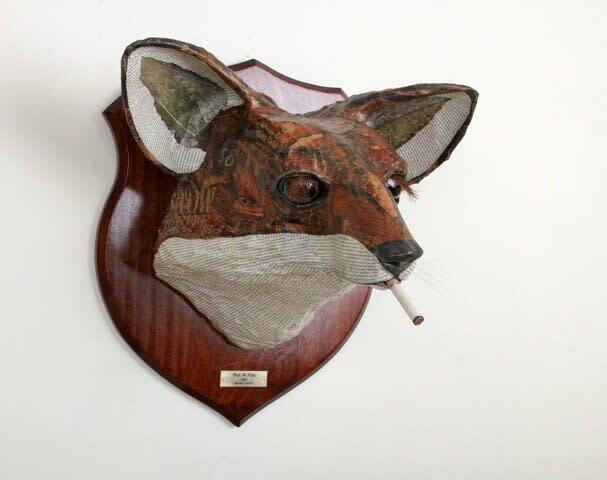 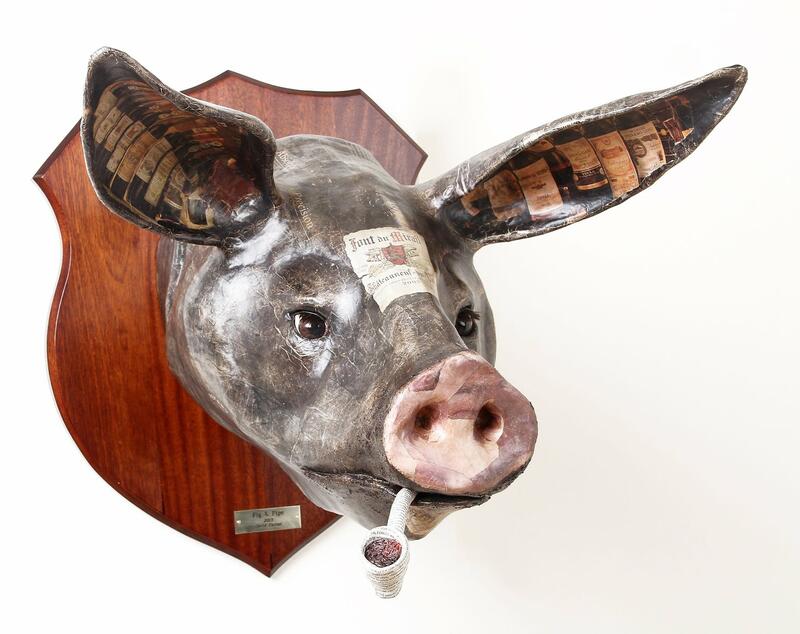 Farrer describes these works as 'recycled trophies, which satisfy the urge to hang an animal head on the wall but also provoke pro-ecological thought'. 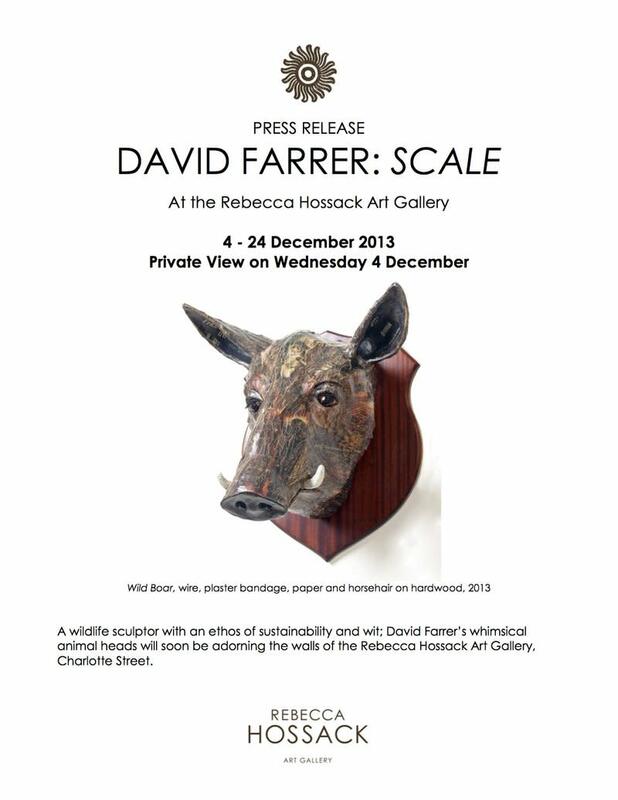 'Scale' is the title of David Farrer's new exhibition, which will display a striking collection of his most successful sculpted animal heads from his thirteen years with the Gallery, all in differing scales. 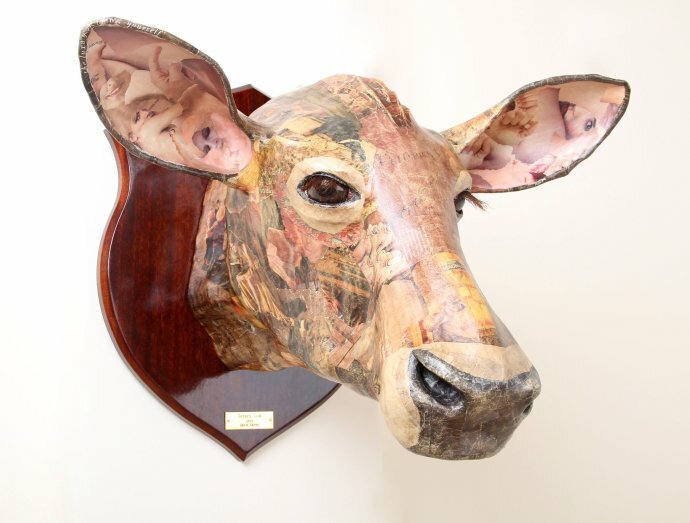 Approximately 15 of Farrer's animal heads will be displayed, some larger-than-life in size, and some smaller; including old-favourites, such as Zebras and Deer, and exotic new works, such as a Chameleon. 'Scale' will be a one-time opportunity to see David Farrer's 'greatest hits' altogether, alongside his long anticipated new sculptural pieces. 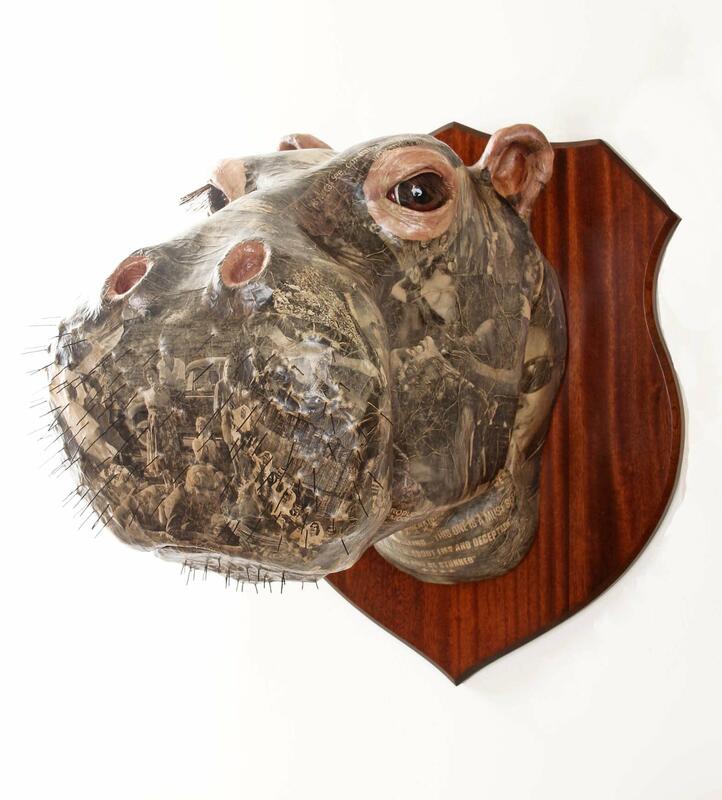 15 animal heads guarding the walls of the Charlotte Street Gallery is certainly not a sight to miss!